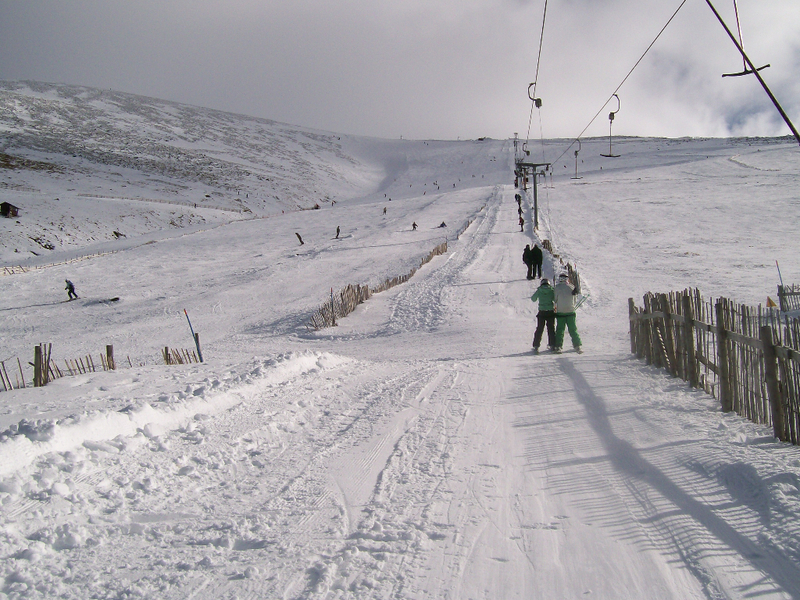 Nevis Range is Scotland’s highest ski area, opened in 1989. 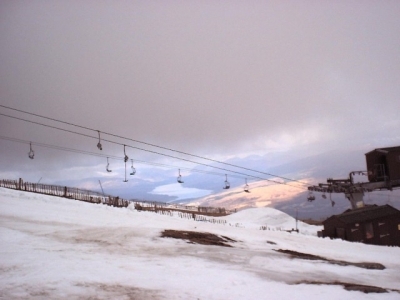 In a good year skiing is often possible on the higher parts of the mountain through till May. 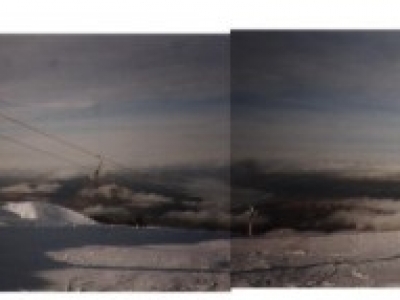 The front face of the mountain has a number of good reds and blues for intermediate skiers. 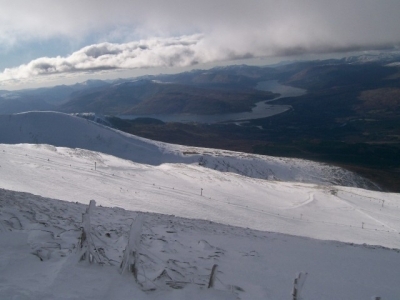 The summit runs are nice gentle blues, however the only way back from these runs is via the Goose which is a more tricky red, so nervous skiers are advised to avoid these runs unless you are confident you can get back. The back corrie (Corrie Dubh) is designated as ‘off piste wilderness terrain’ and it certainly deserves the designation. 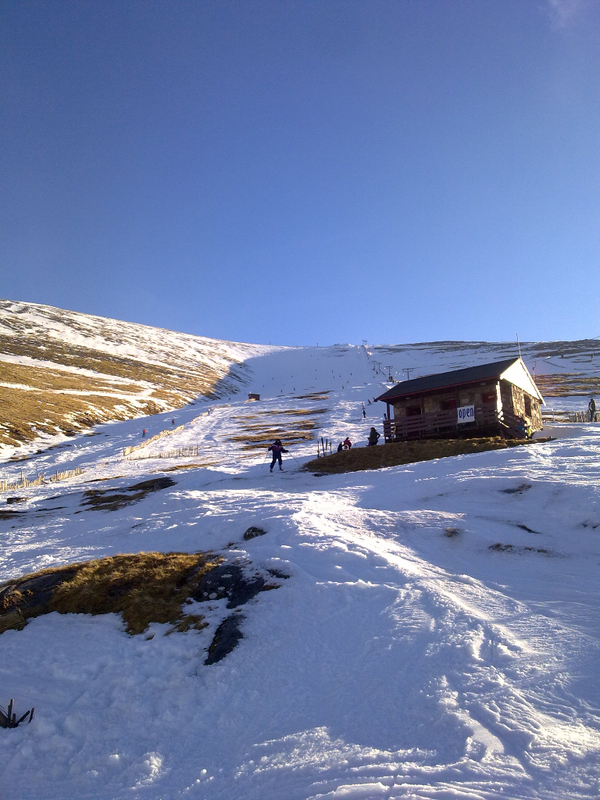 The top section of the corrie is very steep and the black runs which go straight down this are aptly named Chancer and Yellow Belly. For the less adventurous, a narrow track drops over the ledge and traverses across the steepest part of the slope. 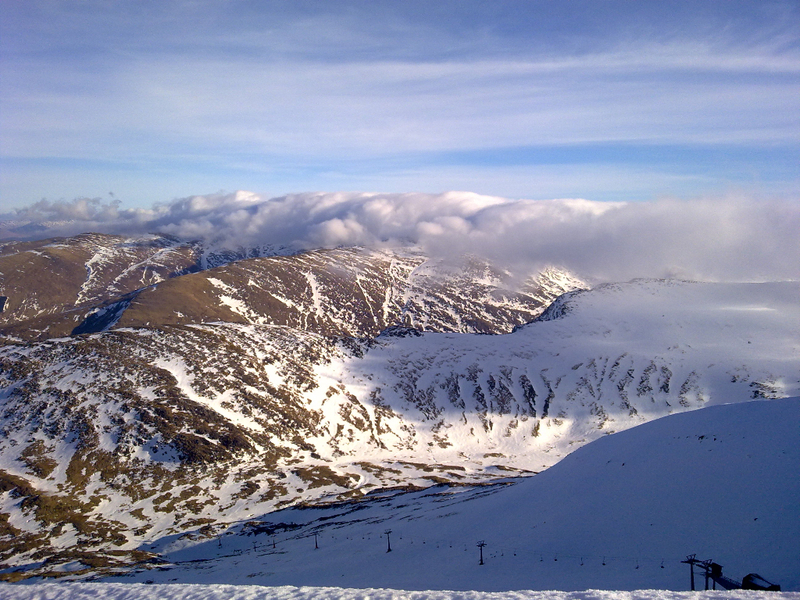 The back corrie should not be missed if you are a confident intermediate or advanced skier. 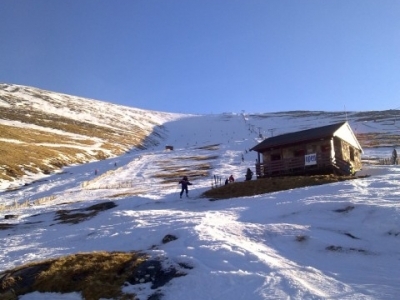 Access to the ski is area is via a 6 man gondola, which rises from a low lying car park. From the top of the gondola there is a button lift close by, or you can ski or walk down to the quad chair. Above these these lifts are a pair of T-bar drags, one of which leads on to a further button drag which goes to the summit. A further chair lift to the left of the gondola station provides a two way link across the face of the mountain, giving access to an additional nursery area, and a reliable route back from Corrie Dubh when the snow is poor. Be warned though, this chair is painfully slow and only operates during busy periods. 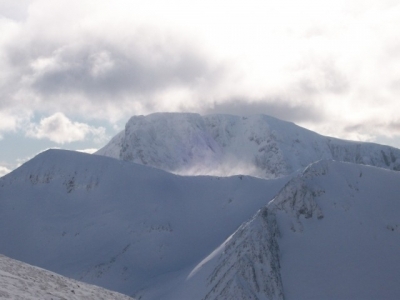 The biggest weakness in the Nevis lift system is access to the back corrie. 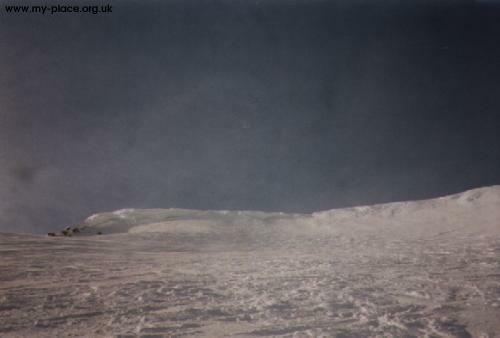 The chair in the corrie does not go the full length and only gives sufficient height to exit the corrie. 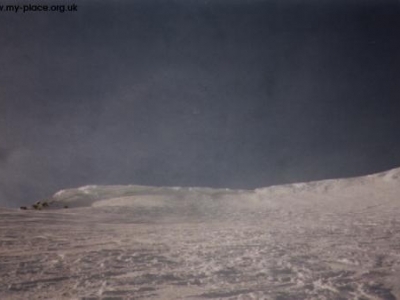 The trek back is a very long traverse, around the mountain through a large boulder field, added to the three stage lift on the front, it can take quite some time do a full circuit through the corrie. On the plus side the quad chair allows access quite high up the mountain when the snow is poor, combined with a loading point half way up the Goose T-bar, this is the secret of Nevis’s late season opening. 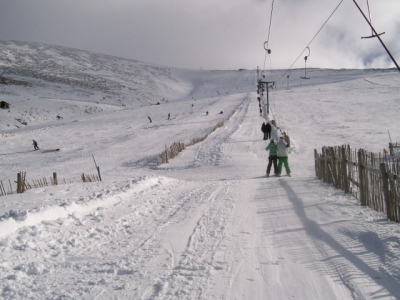 Nevis Range is located only a few miles from Fort William. 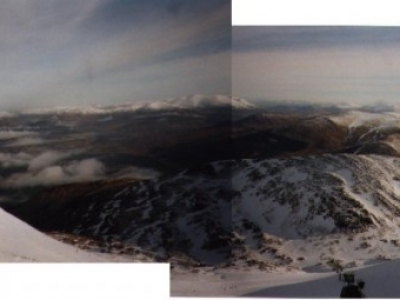 The base station is very low down, so access is considerably easier than for other Scottish areas. 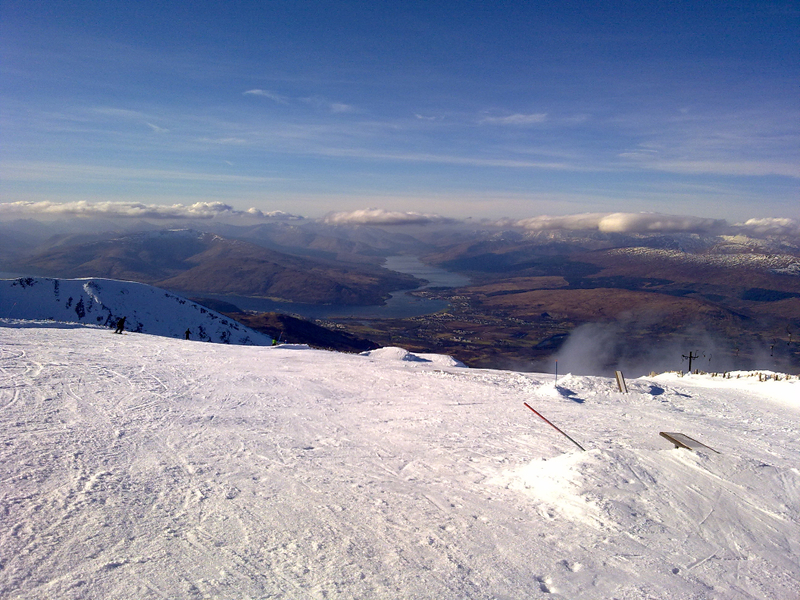 The ski area is on Aonach Mor, which lies in the shadow of Ben Nevis, the highest mountain in the British Isles. A link bus service is run from the base station to Fort William station. 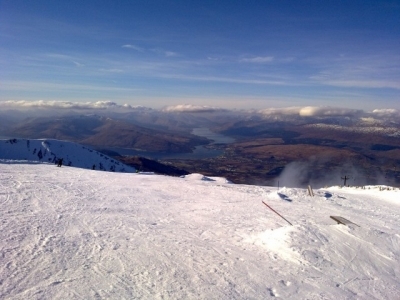 The majority of the accommodation is located in Fort William, where you will find a range of Hostels, B&B’s and hotels. 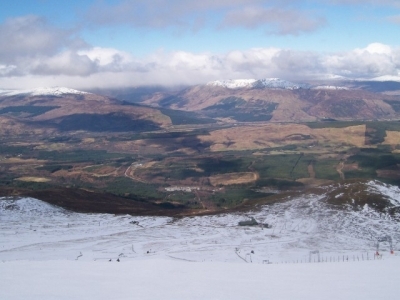 Plans have been published for a resort development in the forest next to the gondola station, but this is still at an early stage.